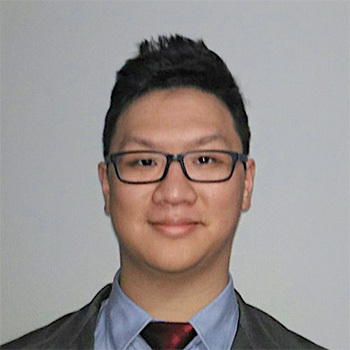 Jason Lai completed a Bachelor of Arts in 2014 and was recognised on the Dean’s Honours List for outstanding results. He continued his studies in the Master of Management (Finance) at Melbourne Business School. As part of his degree, he completed the Melbourne Business Practicum (MBP) in 2016, working at the global firm Genpact. Since graduating last year, Jason was awarded a Victorian Government Hamer Scholarship to study Chinese in China, which he undertook at Suzhou University. When I was interviewed for an internship at ANZ in 2016, the MBP was the first thing I was asked about…the experience really helped me stand out from other applicants. I currently work at ANZ Bank’s Graduate Program in Small Business Banking. What was your experience of completing the Melbourne Business Practicum (MBP) and what did you take away from this? The MBP was the most challenging subject I undertook at the university. The key challenges were the short amount of time my team had to complete our project, and the process of understanding the complexities of our research topic. There were so many things I gained from the subject. It helped me develop my capacity to put myself in my client’s shoes, think critically about what they want, and identify their best interests. The project’s topic helped me gain insight into market risk regulation within banking. It was also a privilege to work with and learn from my amazing academic supervisor Sujay Nair, and my wonderful teammates Qi Pan, Yiying Zhu and Runtao Ma. What three attributes should students strive to attain, to be successful on the MBP? Teamwork is very important - it is not a task that can be completed alone. If there are issues in this regard, they should be raised and addressed as a priority. Time management is also critical due to the tight deadlines. It is important to be realistic about outcomes and to prioritise tasks. Lastly, report writing skills are essential. At the end of the day, the report is the final product for the client. It is important that the content is relevant to their needs, and that findings and recommendations are expressed clearly. Have you referenced your experiences in the MBP when applying for jobs? I referenced the MBP on my Linkedin profile as a ‘project’, and made sure to link my teammates’ profiles to this project. In describing the experience, I explained the research topic, my personal achievements in the project, as well as my learning experiences. Did completing the MBP have an impact your career prospects? When I was interviewed for an internship at ANZ in 2016, the MBP was the first thing I was asked about. I think the experience really helped me stand out from other applicants. Following my internship, I landed my current role in the ANZ Graduate Program. Are you a business in getting involved in the Melbourne Business Practicum?